Psoriasis is a skin disorder in which patches of dry and red thickened skin occur. This is caused by a very rapid reproduction of skin cells and is a fairly common non contagious skin disease. The rapid rate of cell reproduction causes the build-up of dead skin cells, thereby making the skin surface look dry and scaly. The condition usually affects the skin in areas such as the elbows, scalp and knees. 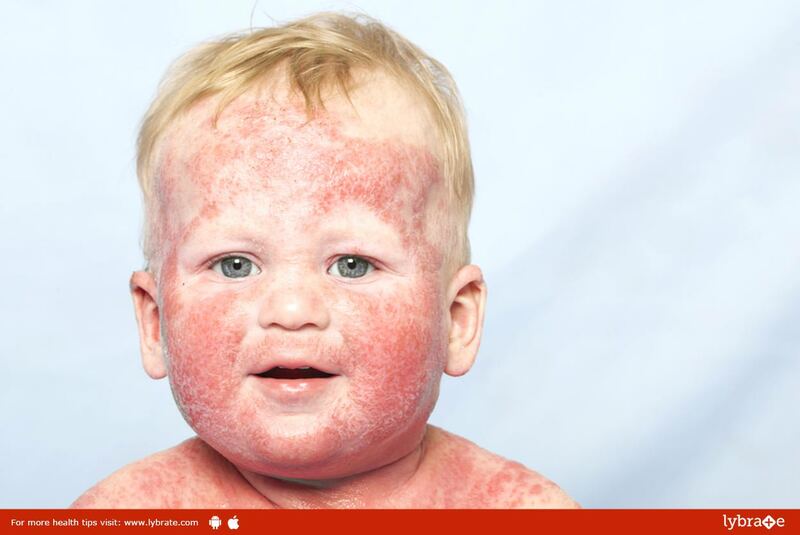 Heredity- a child has 15% chances of suffering from psoriasis if a parent is affected. Consuming incompatible foods such as fish and milk together. Huge mental stress or enormous psychological trauma. Trauma on skin such as repeated cuts or bruises. Pitta dosha- controlling the metabolic functions. Kaphadosha- controlling growth in the body. The practitionersof Ayurveda believe that all sorts of diseases are caused due to an imbalance between the three doshas. The basic goal of Ayurvedic treatments are to keep the doshas balanced. According to Ayurveda, psoriasis is caused due to an imbalance occurring between vata and kaphadosha. Panchakarma therapy is the main Ayurvedic therapy which is used to treat Psoriosis. The panchakarma therapy uses dietary changes and plant-based remedies to detox and purify the body. Usually, a vegetarian diet is recommended. The treatment includes consuming medicated ghee, purging and vomiting, dripping of medicated buttermilk on a person’s head, covering the entire body in medicinal mud paste and performing various medical enemas. The efficiency of the treatment depends mostly on the commitment of the person towards the treatment and the severity of the disease. Usage of black nightshade juice to reduce inflammation. Neem is used to boost the immune system and also to purify blood. Turmeric can also be used to reduce inflammation, swelling and redness. Jasmine flower paste can be used to relieve itching and reduce inflammation. Boswelia or frankincense can be used to reduce the inflammation and boost the immune system. According to Ayurveda, the mind and body connection plays a really important role in overall wellness and standard Ayurveda lifestyle changes such as eating a healthy diet, practicing yoga, meditation, exercising etc. help to strengthen this connection. Visit an Ayurvedic practitioner today. ← High Blood Pressure (Hypertension) – Know The Reasons Behind It! !